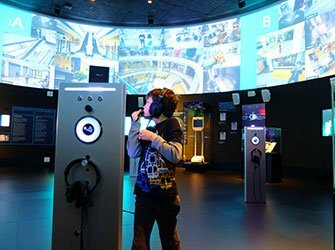 Wondering what to do in New York with kids? For children of all ages there is so much to see and explore. Some people think that New York is not a suitable city for children, but my two little kids love it here and there is always something to keep them occupied. 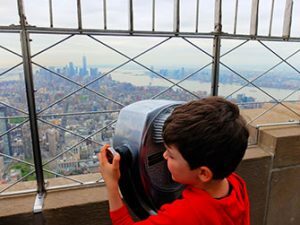 You needn’t be afraid to bring your children to New York: Manhattan has become very safe in recent years. Additionally, Manhattan is very pram friendly: all pavements have ramps, you won’t find any small cobble stones and many subway stations have a lift. Putting the pram in the back of a taxi is pretty normal too. So children: welcome to New York! DEAL: now 50% off Kids Flex Pass! Are you planning on visiting attractions? Schedule a maximum of three a day. Opt for a subway or taxi when you need to travel far. Prepare your children for the long queues at attractions. Combine visiting attractions with a (lunch) break. For example taking a boat tour is an attraction but also a moment of rest for the children. Schedule ‘inside activities’ such as visiting museums, sports games, Broadway shows or shopping so that you needn’t always be outside if it is very hot or if it rains. There is no hooligan culture in New York; visiting a sports game is fine for the children. Have lunch outside whenever possible. In the park, for example, there are lots of exciting things to see – which is a lot nicer than eating inside in a hotel or a restaurant. Consuming alcohol is prohibited for those under 21. This also means that those under 21 are not permitted in to clubs and bars (such as rooftop bars). Below you will find a list with ideas for attractions.